Shimano’s STEPS range grows to 3 models with today’s announcement of the STEPS E7000; an ‘affordable’ drive system for the e-Bike and e-MTB markets. The new E7000 drive system sits slap bang in the middle between the E6000, a system designed for trekking and commuting, and the E8000 that we’ve tested extensively on bikes such as the Canyon Spectral: ON and Focus Jam². 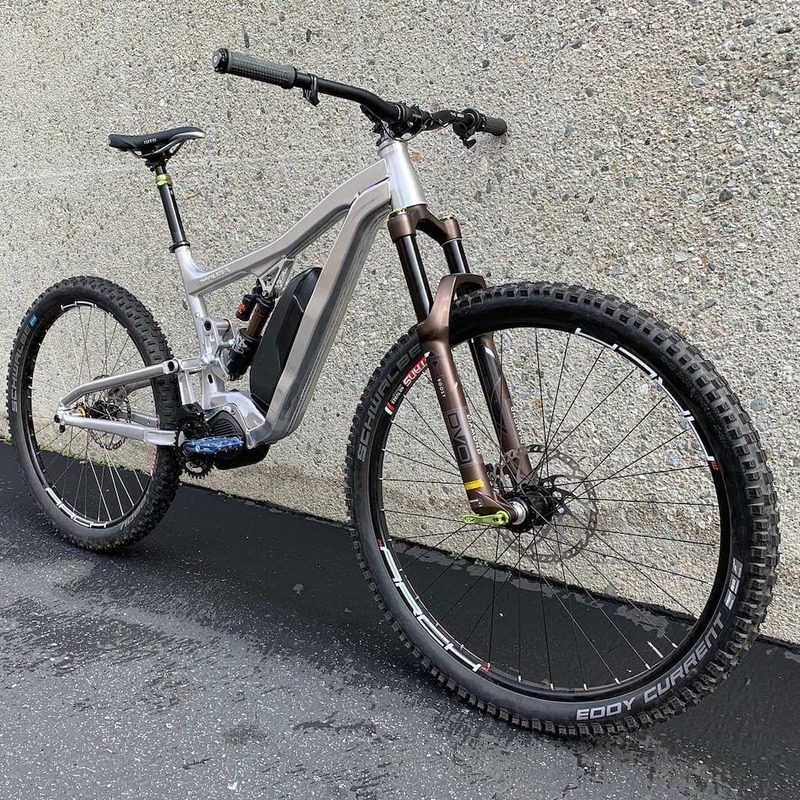 Shimano says that while the current top-tier E8000 motor, display, and battery system is designed for aggressive riding on rugged, difficult trails, the new E7000 has been developed for more recreational mountain biking and is aimed at riders looking to explore new grounds. 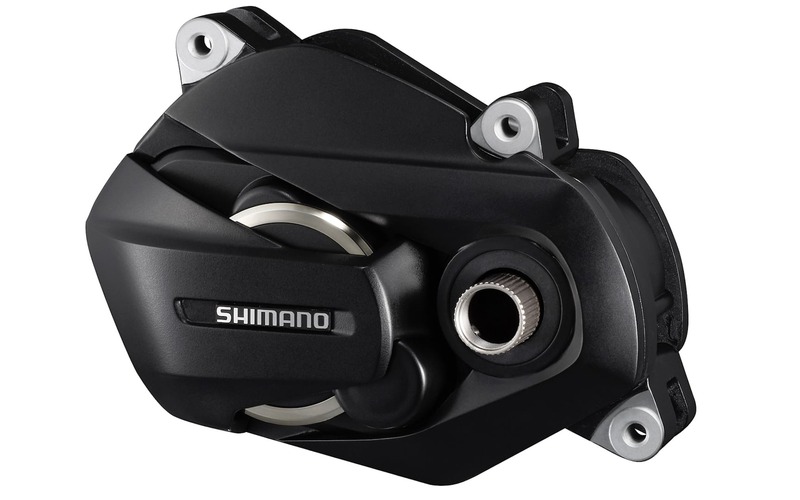 The new Shimano STEPS E7000 motor. 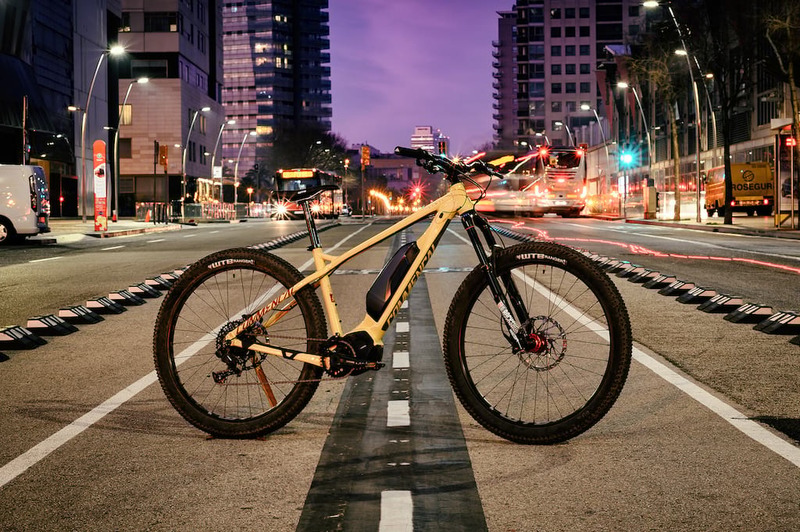 It’s also aimed at manufacturers who want to launch e-Bikes at lower price points and so has been configured in such a way that it offers most of the benefits of the E8000 but in a price-conscious price point. Major differences to the system compared to the flagship E8000 appear to have been made to the control and display units. The Shimano Steps E7000 shifter is a left-handed switch with a simple two button interface for flicking between the four different motor modes available (Eco, Trail, Boost and Walk Assist) as well as being the control to power the system down. Those buttons have been designed with ease of operation in mind and Shimano claims that the tactile feedback of the control can easily be felt under winter gloves too, not that we’ve been needing them for a while. For those riders who prefer the E8000’s Firebolt trigger shifter the good news is that E7000 and E8000 components are interchangeable. The new shifter system also incorporates Shimano’s I-Spec EV standard so that controls can be mounted together for a neater cockpit, and of course it’s dropper post compatible too. 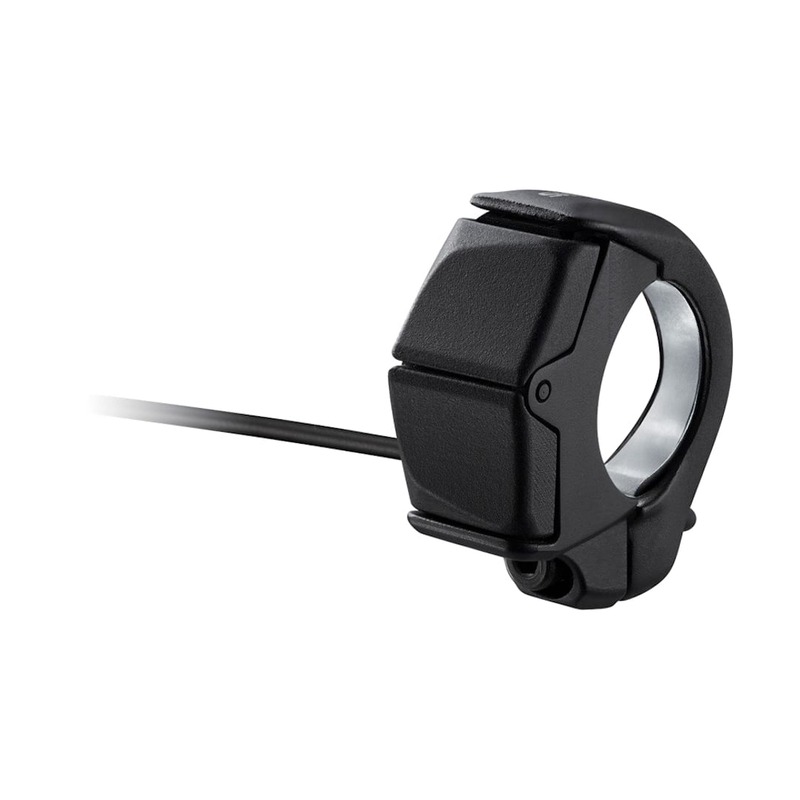 There’s also a right-hand electronic shifter available for use with Di2 systems and features that same simplified 2 button design. STEPS E7000 has also been developed with a new display system named the SC-E7000. This bar mounted display offers the same live information to riders such as current speed, battery level, and mode selection, but has a simpler (read cheaper) black and white display, whereas the E8000 display has a splash of colour. 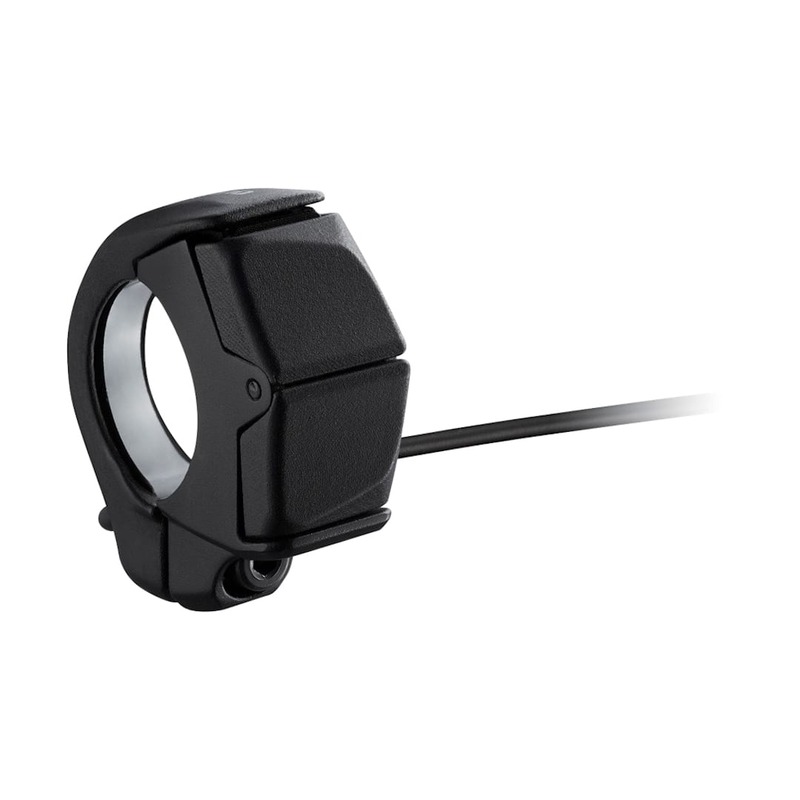 Using an additional EW-EN100 connector with your STEPS E7000 system you’re able to use 3rd party devices such as GPS units to display STEPS information, and like other e-Bike drive systems on the market, there’s an app for smartphone connectivity too. 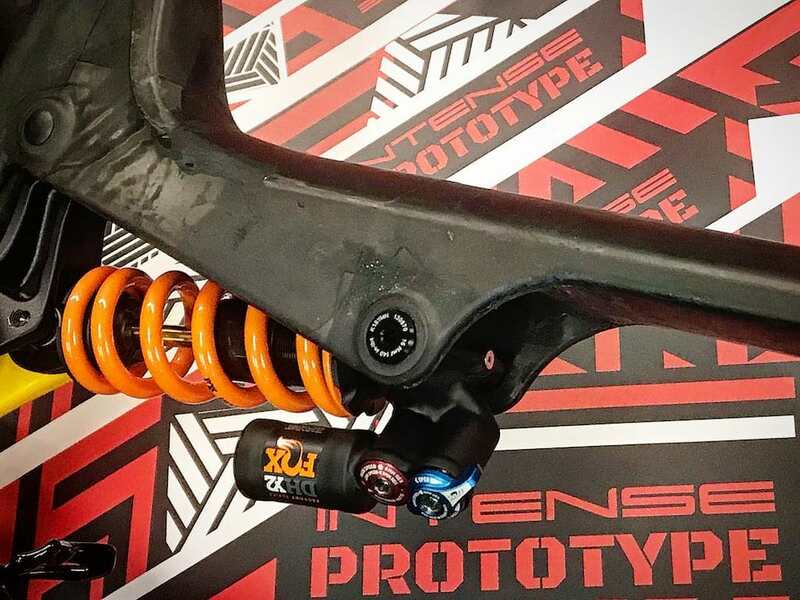 The E-TUBE RIDE App connects to your STEPS system and allows users to tweak the power output of the system in its various modes. So, if you find that ECO isn’t Eco enough you could adjust it to give you more battery life, or on the other hand, you could tune Trail mode to give you more assistance. STEPS E7000 looks to be a close relative to E8000 rather than E6000. The motor unit in the E7000 system offers many of the same features that the E8000 already does including 500-watts of peak power and assistance up to 25km/h to meet EU rules. Importantly the E7000 motor features a similar compact design to the current STEPS systems with a standard Q-factor, which not only improves the aesthetics of an e-Bike but allows designers to create bikes that are more akin to their non-motorised cousins in terms of handling and performance. Or that’s the idea at least. In standard trim with no changes made to the system with the app, Shimano states that the E7000 offers a more controlled and smoother ride, while E8000 offers better acceleration. It would be interesting to feel just how smooth the E7000 is as we find the current E8000 plenty smooth enough. 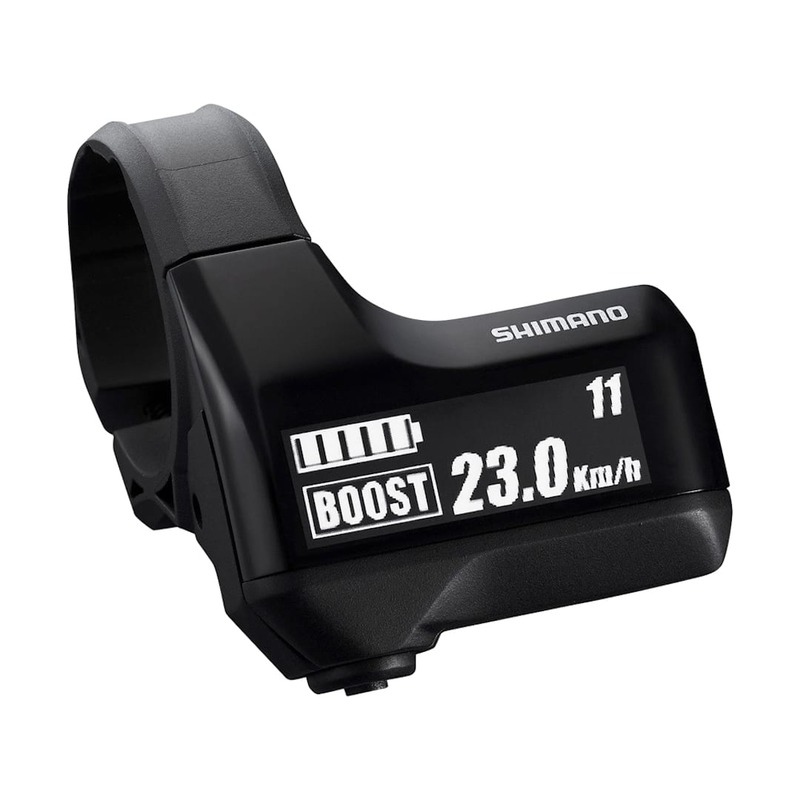 Shimano also promises that the E7000 motor has a low internal drag so if you were to turn the system off, hit the 25km/h limit or just run out of power, you should find your bike is as easy to pedal with no additional drag. 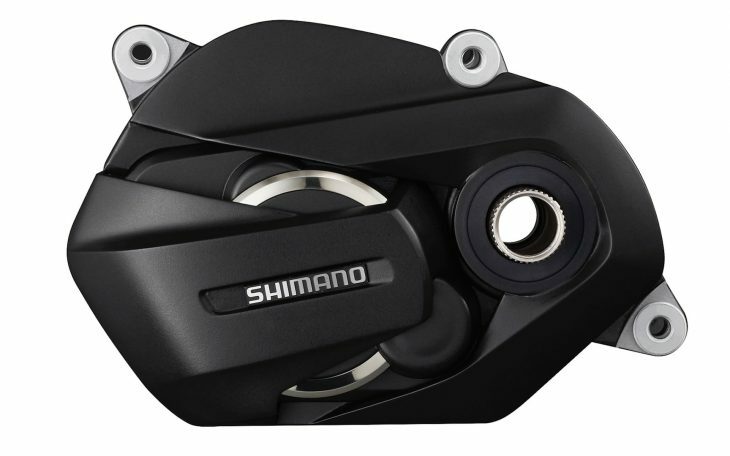 We’ve contacted Shimano for additional information about any specific differences between, E7000 and E8000, if there is a weight difference and what price the E7000 system is going to go for. What we’re really interested to know is at what price point will E7000 bring Shimano’s STEPS system to? We’re already seeing well priced E8000 bikes on the market, but will E7000 mean that e-Bikes will finally compete with non-motorised bikes on price?